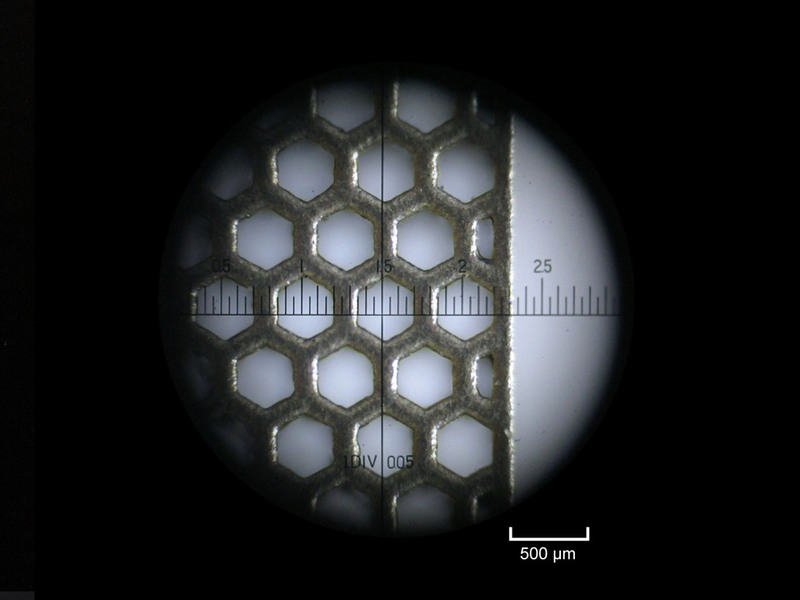 Lattice structures are used to save weight without sacrificing stability of parts. Furthermore these structures can also realize functions like shielding, guiding or separating fluids in medical devices, reactors, heat exchangers, fuel cells and other microfluidic applications. 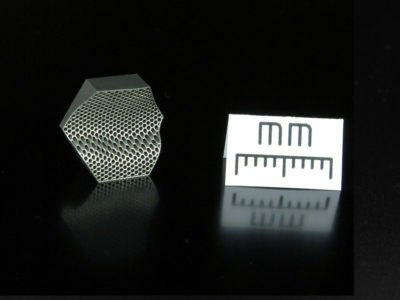 Geometric highly complex and functional lattice structures of metal can be precisely manufactured with the Micro Laser Sintering technology with minimal resource consumption. Compared to conventional manufacturing technologies, the raw material savings lead to a 60% reduced weight of the part. There are almost no limitations in the freedom of design. 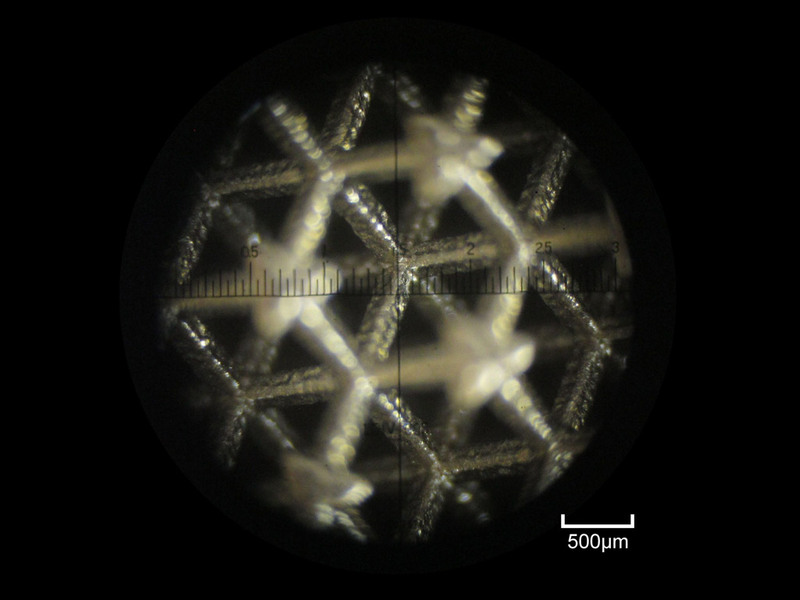 Even 3D-lattices with changes of the geometric features inside or undercuts can be manufactured. 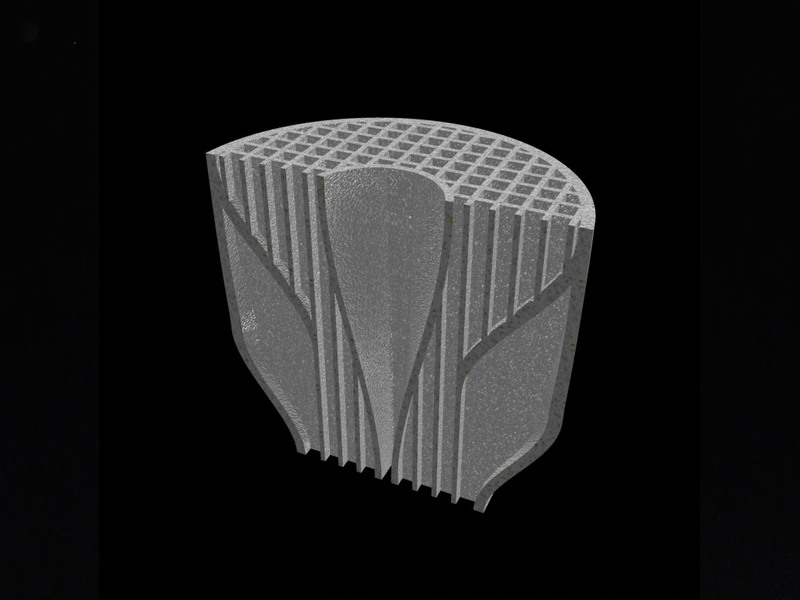 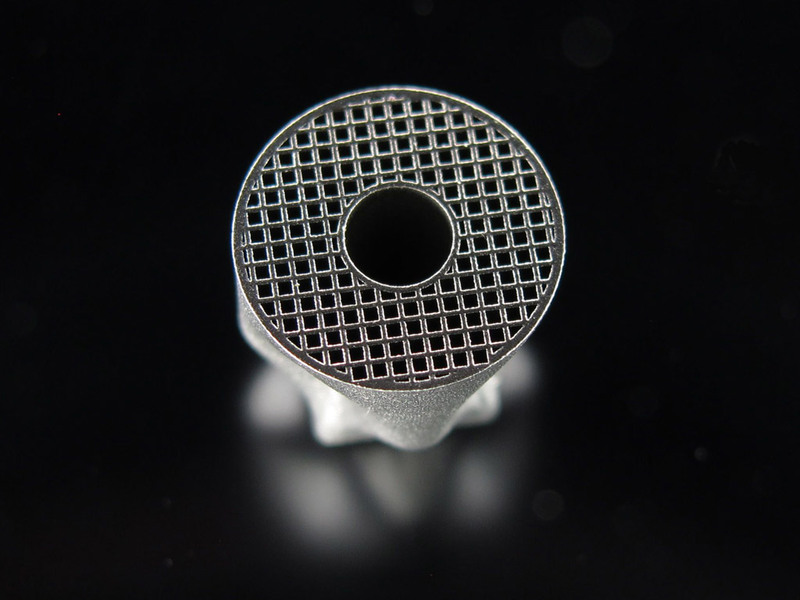 The wall thickness, the bottleneck of precise lattices, can be reduced down to 30 µm. 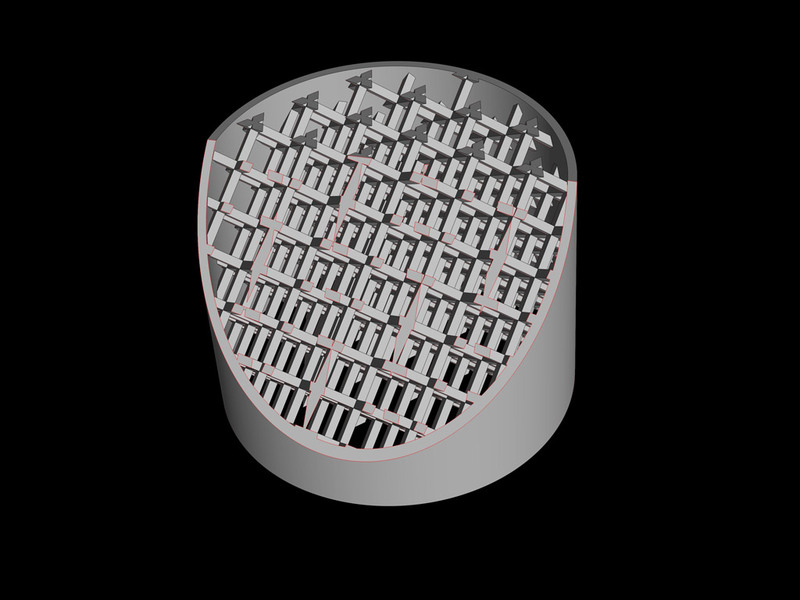 The minimal achievable wall thickness heavily depends on the topology of the part as well as the raw material. 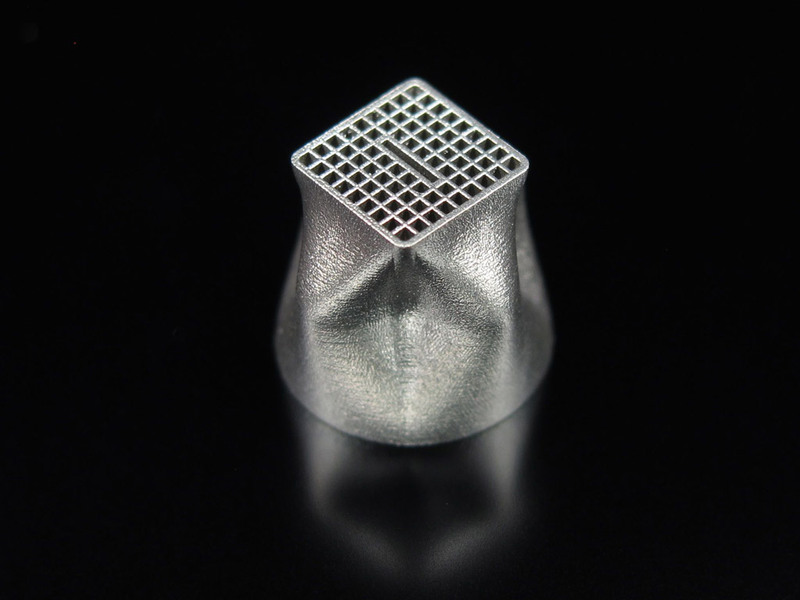 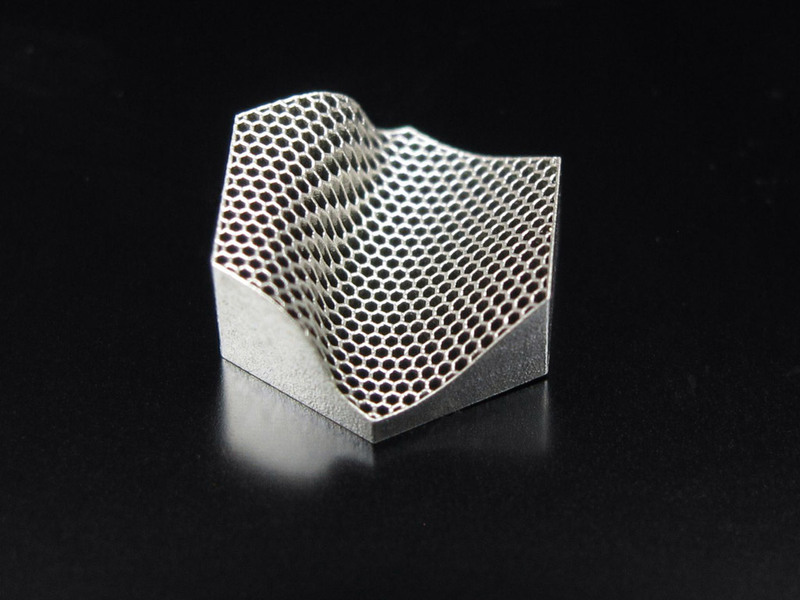 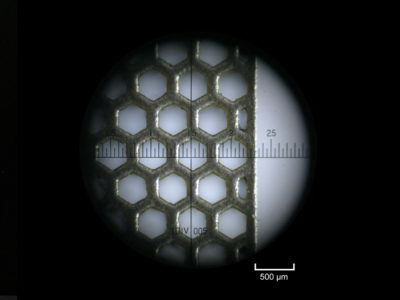 Micro Laser Sintering of lattice structures opens up new dimensions in the part design process, such as a property gradient of the geometry or density within a part. 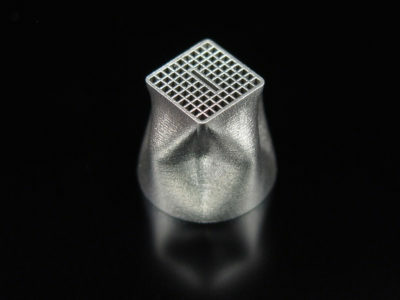 The new possibilities also enable innovations like optimized flow characteristics in microfluidics and functional integration. 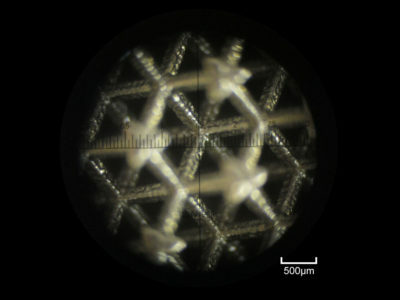 The absence of joints between the components will ultimately lead to an improved stability of the filigree lattice structures. 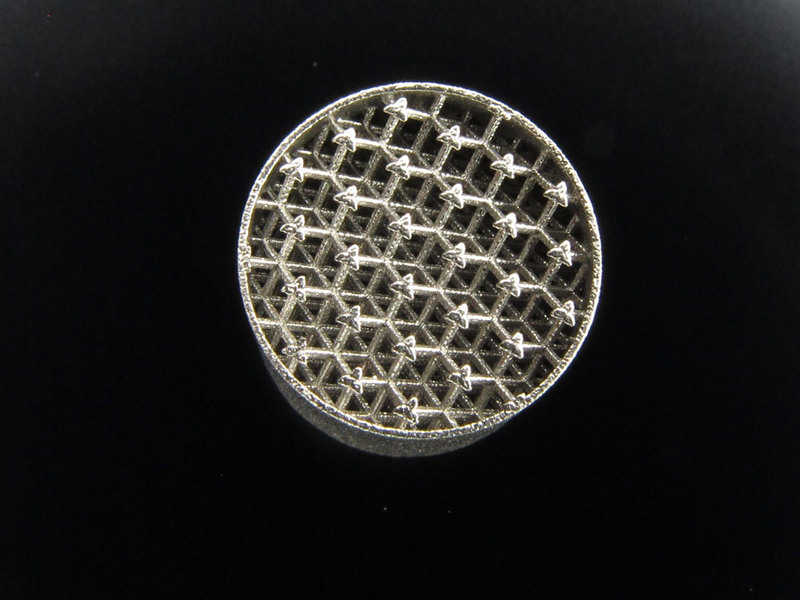 The featured parts were manufactured with a DMP50 GP Micro Laser Sintering machine developed by 3D MicroPrint GmbH.